Trusteeship Chamber Hall, United Nations Headquarters New York, Monday April 30th 6:30pm for International Jazz Day 2018. 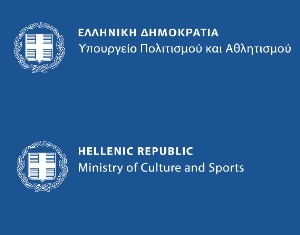 Invited and organized by the Permanent Mission of Greece to the UN. A concept by Dimitri Vassilakis presented at the United Nations Headquarters New York for International Jazz Day, Trusteeship Chamber Hall, Monday April 30th 2018 6.30-8.30pm. "Jazz Democracy" is a forum/performance to showcase how jazz has become global and has embraced the broad democratic values that were first established in ancient Greece. Dimitri Vassilakis presents the concept, talks and performs with a stellar line up of international jazz musicians and focuses on concept elements in a jazz performance that can be utilized and embraced when we approach work environment, social or political issues. Comments on education, connection with other arts plus new technologies in art and society and the ongoing dialogue with artificial intelligence. “Jazz Democracy NPO” is a non-profit organization dedicated to organize open discussions, forums, performances educational activities and workshops to deliver and spread the jazz and democracy spirit through the global community. (Trusteeship Chamber Hall, 6.30-8.30 pm). Dimitri Vassilakis presents "Jazz Democracy"
''Jazz Democracy’’ is a talk/performance to showcase how jazz has become global and has embraced the broad democratic values that were first established in ancient Greece. The presentation focuses on concept elements in a jazz performance that can be utilized and embraced when we approach work environment, social or political issues. It will comment on education, connection with other arts plus new technologies in art and society and the ongoing dialogue with artificial intelligence. This global event coincides with International Jazz Day celebrations supported by UNESCO and April jazz appreciation month by the Smithsonian Institute. While it is our honour to invite you, it will be our pleasure to have your experts, colleagues, family and friends with us. “Jazz Democracy NPO”is a non-profit organization dedicated to organize open discussions, forums, performances educational activities and workshops to deliver and spread the jazz and democracy spirit through the global community. See also Jazz Democracy at TEDx Tokyo, TEDx Athens and London Jazz Festival presentations.